Abregado-rae was a major manufacturing and trade-oriented planet in the Abregado system in the Core Worlds, sitting at the beginning of the Rimma Trade Route. It was also the beginning of the Shapani Bypass or the "Bacta Run." It had a reputation as one of the Core Worlds' more rough-and-tumble planets. It was home to the infamous Abregado-rae Spaceport. It shared the sun Anza with Abregado-dai, Abregado-san, Abregado-fus, and Abregado-taki. The planet was controlled by an oppressive government which kept the peace and improved the local spaceports at the expense of its citizens. Despite this planet's temperate climate, it was only home to a very limited number of native species. Less than ten species of large animals, including the Gado and Moocher (possibly related to the Atzerrian Meek) were native to this planet. Unlike most of the Core, Abregado-rae was fairly backward, to the point of being compared with worlds in the Outer Rim Territories. The planet's spaceports seemed safe, at least to the untrained eye. In fact, it was a smuggler's paradise, a spaceport where the galaxy's uncounted species could mingle, get into trouble, and head off again to parts unknown. The planet had many popular establishments including the LoBue Cantina, Lost Loves Casino, Njinska's Tavern, Starlight Theater, The Star of Chance, and the Triple Nova Casino. These were located in either Abregado-rae Spaceport or Le Yer, both of which attracted visitors from all parts of the galaxy including Han Solo and Lando Calrissian on occasions. The city Le Yer was a popular coastal resort city, with its extension, Phyrstal Island accessible by Hydrobike or Gados Floatboat. Abregado-rae was also one of the few planets where the rare metal electrum was found. It was known for it to sometimes bubble to the surface in the Gilt Gushers. This mineral could be used for crafting lightsabers with many unique qualities; Darth Sidious and Mace Windu both possessed lightsabers containing electrum. A common song around the galaxy called "Calypso" can trace its origins back to Abregado-rae. The planet was first discovered 10,000 before the Battle of Yavin when Galactic Republic scouts discovered the planet while exploring what would become the Rimma Trade Route, though colonization would not occur for millennia yet. Before the Clone Wars, a number of residents of Abregado-rae, along with other natives on the Rimma Trade Route joined the Nebula Front. This organization was against corporate monopoly and decadent government, but was dissolved when it's leaders were killed or arrested by Qui-Gon Jinn and Obi-Wan Kenobi. During the Clone Wars, Abregado-rae was the origin of the Shapani Bypass, a shortcut along the Rimma Trade Route that was used to quicken the delivery of Bacta from Thyferra to the Core Worlds. During the Galactic Civil War, the local Humans sided with the Rebellion when they arrived to liberate the planet. The planet eventually saw the founding of the Tundei regime, led by the Tundei Tribunal, by a Herglic named Shelov who along with other offworlders, promised a planet without crime. They installed harsh limits on freedom and stopped all legal shipments of food to separatists in the mountains in an attempt to stifle opposition. This caused it to be a common smuggling destination for foodstuffs. The regime eventually made the cost of running illegal operations on the planet so costly, that all illegal investment in Abregado-rae swiftly pulled out, nearly destroying the economy. The regime also allowed virtually the entire Moocher population be destroyed when the possible outbreak of Veizen Fever, a disease which drove Moochers mad, was thought capable of spreading to the resident Gados. During Grand Admiral Thrawn's campaign against the New Republic, he captured space near Abregado-rae as a possible prelude to a pincer movement on Coruscant. This put Abregado-rae on the New Republic side of the Borderland Regions. 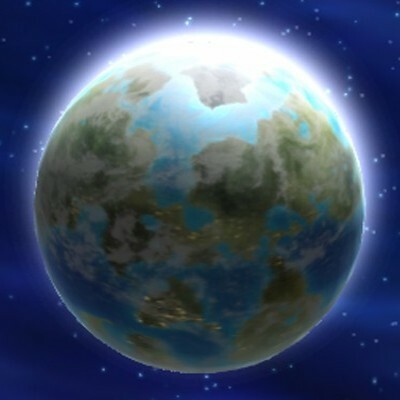 The planet served as a meeting point for Han Solo, Lando Calrissian, and Fynn Torve (a member of Talon Karrde's smuggling organization). Thrawn also sent the Adamant to Abregado-rae in an attempt to intercept and capture Mara Jade. The planet was later conquered by the Yuuzhan Vong, though it is unknown if the Galactic Federation of Free Alliances retook the planet.